McGrath Auto: Best Commercial Fleet Dealer 2016! When your business depends on dozens of vehicles to operate, McGrath Auto is your best dealer according to the Corridor Business Journal. 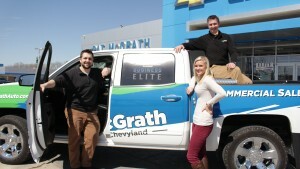 Readers of the popular local journal have spoken and named McGrath “Best Commercial Fleet Dealer” for the first time! What is it, exactly, that sets McGrath Auto’s Fleet Department apart from the competition? 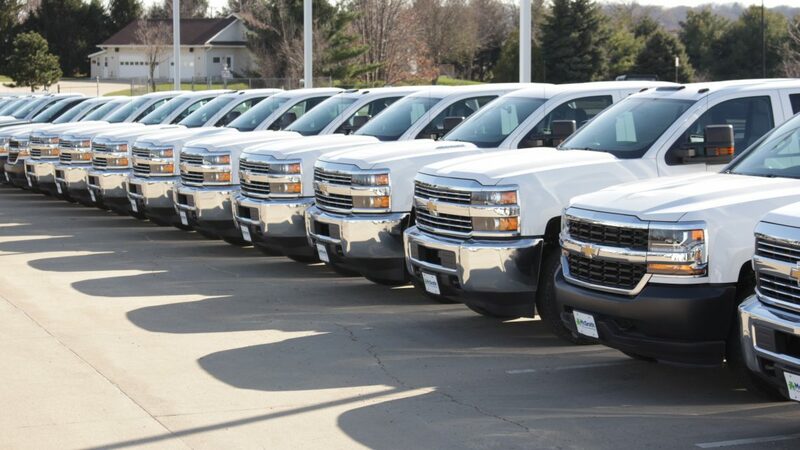 According to Fleet Service Manager Jeff Melcher, it’s valuing the business owner’s precious time and presenting multiple options for purchase. Every fleet has different needs and budget restrictions. McGrath’s Fleet Department works diligently to provide the best service to every account, large or small. Fleet customers appreciate having several options delivered to their doorstep, which allows them to make fast decisions that keep business rolling in. Our inventory is extensive and versatile, designed to meet all your business needs. As a dealership, McGrath understands that if fleet customers don’t have functioning vehicles, their revenue grinds to a halt. Our goal as a dealership, McGrath understands that if fleet customers don’t have functioning vehicles, their revenue grinds to a halt. Our goal then, is to keep them on that road at all costs, even if it means going beyond the call of duty. McGrath’s fleet representatives often making personal service calls, expediting graphic application and vehicles add-ons…all in the interest of drawing repeat business from our valued community. The best thing about McGrath’s Fleet Department? Our commercial sales team truly loves what they do! Emerging Leader Tyler Janssen says the greatest thing about working for the McGrath Family is their unconditional support and appreciation. It’s the growth from within mindset established at McGrath that has allowed the Fleet Department to thrive into what it is now….an award-winning organization, recognized by the community we strive to impress.